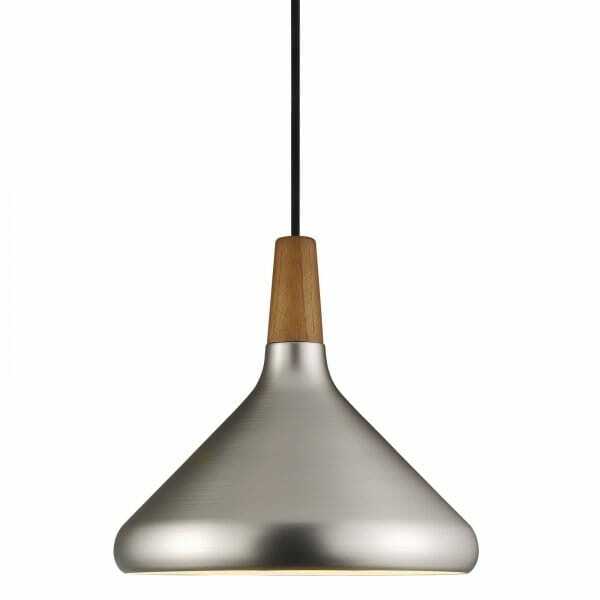 A very smart looking ceiling pendant with a brushed steel finish and oiled walnut wooden accent, the shade is suspended on black cable and is height adjustable at the point of installation. This light would be ideal for lighting in contemporary settings and would be great for use in long drop areas, high ceilings, over tables and kitchen islands. This pendant is also double insulated to allow for safe use without need of an earth wire.